Most of us are used to looking for a specific variety of apple or pear, but lemons? Who knew? Like most things that are grown on a smaller scale they are tastier. 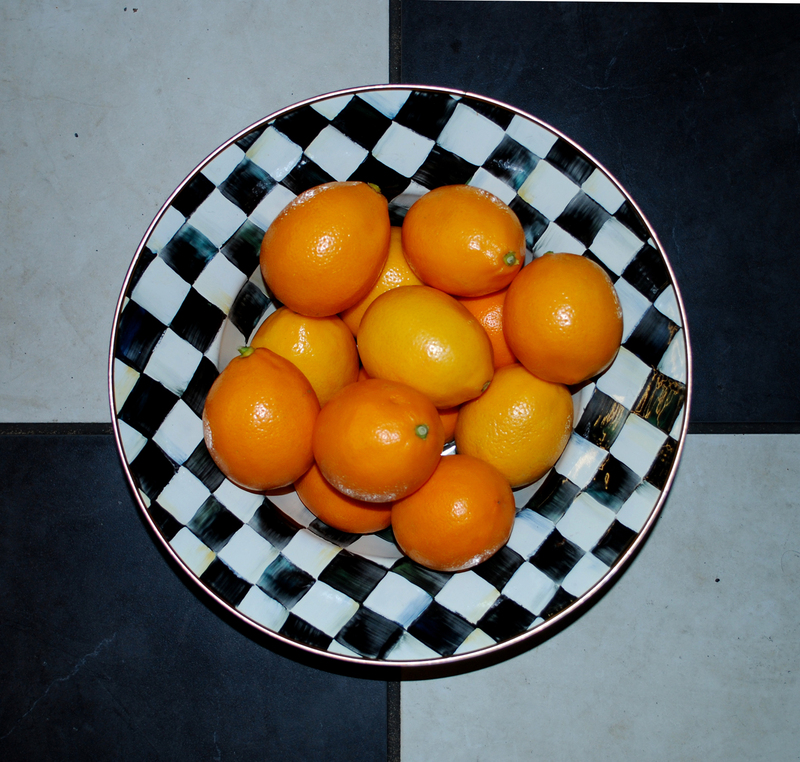 Meyer lemons are a hybrid originally from China as are most citrus fruits. Besides being a gorgeous rich deep yellow color they are delicious and a bit less acidic than standard commercial lemons. The smooth skin is a bit thinner and wonderful for candied zests or any recipe calling for the zest. A beautiful lemon tart, lemon curd, lemon marmalades – in any form these lemons are a joy to use and eat! We have been having a lot of fun with them in the kitchen here at the store – they just look so cool. They’re irresistible! Here’s our recipe for sweet and sour lemons which are fabulous on seafood, chicken, and even as a base for a quick herb vinaigrette. If you are using Meyer lemons you may eliminate step 1, which is used to remove the bitter flavor of the white pith in regular commercial lemons. 1. Put lemon slices in a pan, (preferably stainless steel) cover with cold salted water, bring to a boil and simmer for 10 minutes. Discard the liquid. 2. Combine vinegar, sugar and the parboiled lemon slices and simmer for about 15 minutes. Let cool, discard any seeds, and store in the liquid. These keep for several weeks. Use whole as a garnish for fish or chicken. They are easiest to use when chopped and added to sauces or vinaigrettes. I like to de-glaze a pan that was used for cooking fish or chicken with white wine, add a spoonful of the sweet and sour lemons, several tablespoons of herbs, and a splash of extra virgin olive oil. An easy garnish that will wow your guests.